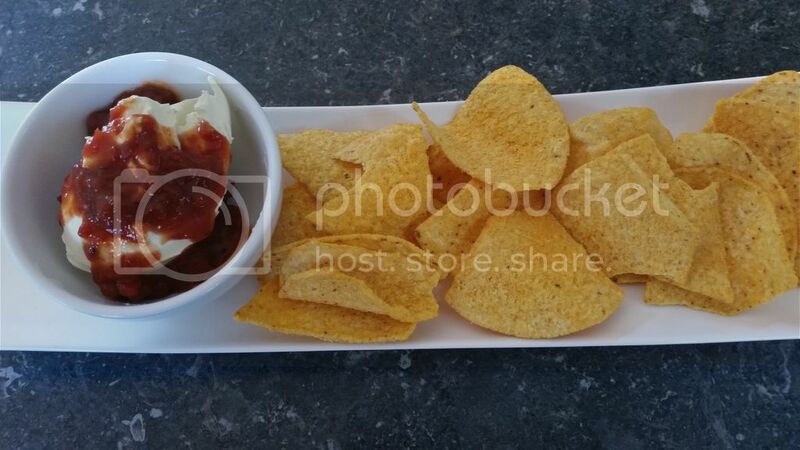 A Mexican salsa style sauce, it&apos;s a rich red thick sauce full of flavour with a dose of spice. A great sauce to have on hand for easy dinners. 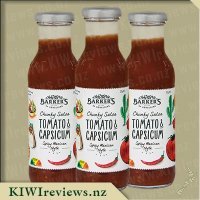 I was lucky enough to get a bottle of this Tomato and Capsicum salsa to try through KIWIreviews. We have been using it for a wee while now and the bottle is just about empty. We are not only big consumers of Barker&apos;s products, but also of Mexican salsa. One of our staple dinners on weekly rotation is nachos, so this was the perfect thing for us to try. On the first dinner night we tried this product, I just poured about a tablespoon over sour cream on top of our nachos. My husband thought it was nice, for a tomato based sauce. He isn&apos;t big on the taste of cooked tomatoes, so often the sauce must taste fresh for him to enjoy it. I found it quite vinegary. I&apos;m not big on the taste of vinegar and it&apos;s not a flavour I associate with Mexican food, so my taste buds were a little confused. The next time I tried the salsa, I was a little hesitant because of the vinegar flavour. I used it, to flavour mince that was going into a Mexican pasta bake. That round, the salsa was less brazen on my palate. However, it was mixed directly into some spices and mince and had cheese sauce as well. It was more of a combination taste. The last few times we have had the salsa, it has been just on top of nachoes again. In that time, my taste buds have adjusted and I actually find it pretty good now. I think I just had to get use to it. It has a bit of a spicy kick to it, but it&apos;s mild and fresh in flavour. That vinegar taste is a red wine vinegar and it does compliment the flavours of the tomato and capsicum pretty well. It just doesn&apos;t strike me as a fully fledged salsa because I would expect lime juice in place of the vinegar. That said, my husband enjoyed it and it has gone the distance here. I am already in love with every Barkers sauce I&apos;ve tried, but this one has taken me a little longer to get to, however I&apos;m already in love with it! I often use Barkers sauces as a pizza sauce in the first instance, but this one arrived just in time for homemade hamburger night, so I popped some into my burger to see how it went. I instantly noticed a nice spicy zing and that it definitely added Mexican flavours as per the label. What a great way to add some spice to my meal on a per-serve basis, so I wasn&apos;t tainting everyone&apos;s meal with too much chilli! Of course I had to try this on pizza too, and after laying this as the base sauce, I went for some Mexican toppings - loads of cheese, pepperoni, capsicum and mushrooms and it was really simple but tasty. Hubby and Miss 7 enjoyed this as much as I did, as I didn&apos;t go too overboard with the quantity of sauce. 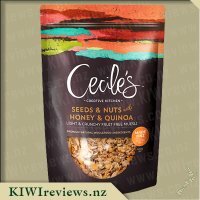 I also found this sauce perfect for jazzing up my Alexandra&apos;s red bean and corn quinoa mix that I&apos;d also obtained through KIWIreviews. The Mexican flavours of each product complemented each other well, with the sauce adding great moisture. And then today when I had an unexpected guest, I decided to throw some corn chips on a plate and drizzle some of this over cream cheese to make a sort of a Mexican dip. It worked beautifully and was so easy - a sort of a chilli-philly but with a Mexican theme. We&apos;ve also tried these with nachos tonight - I found that drizzling some over the top meant I got that extra zing that I was looking for, and the non-spice lovers could leave it off! I don&apos;t normally buy salsa as I can&apos;t get through the jar quickly enough, so this is a great option as it has so many multiple uses. The label rates this as mild to medium spice, and I think this is fairly accurate but maybe more towards medium. However it&apos;s not something you&apos;d have just on it&apos;s own, so anything you eat it with will help ease the spice levels off a bit. It&apos;s got nice chunky bits in it, and quite frankly is another tasty, quality Barkers sauce that now has a permanent spot in my fridge. I&apos;ll be certainly buying more of this when the bottle runs out as the possibilities for using it seem endless. I have a real bias against "artificial" tomato sauces - the chemical-tasting bright red abominations that surface at sausage sizzles and in sachets at fast-food outlets. I think I outgrew that particular flavour when I was around seven years old, and I have never since wanted to try it again! So I examined the Tomato & Capsicum sauce label very carefully before I committed to reviewing it. A cursory read through the ingredients list assured me that they were authentic - in fact, not unlike what I would put in a home-made salsa if I ever had the time to make such a thing! We were having tortillas for dinner so the sauce would be the perfect addition. I am not the world&apos;s slickest tortilla construction artist, so I asked a friend to photograph the work in progress - one completed, and one unrolled to show the sauce on top of the chicken and other ingredients. Once the photo had been taken, I finished wrapping them and warmed them through ready to serve. Just before we ate them, I added some lettuce and avocado and a splash more of the sauce. The flavour was unmistakably Mexican and had just the right degree of moisture. Because the wraps contained fresh tomato, fresh capsicum and chopped onion as well as the sauce, there was no need for any other liquids. The balance was perfect. 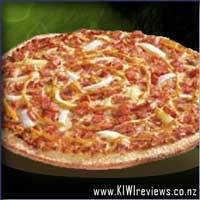 Both the tomato and capsicum flavours were distinct but neither dominated the other. I think adding fresh vegetables to go with the sauce worked well. 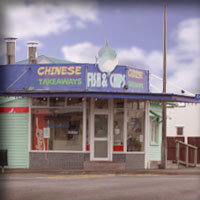 The combination was spicy but not too hot, and when one person accidentally put a large splash of extra sauce on hers at the table instead of the teaspoonful she had intended, it did not seem to matter. There is plenty left in the bottle, but I can think of several other uses for it. I have some cold chicken left over from the tortillas and that would be a nice combination on a sandwich. I can also see it going well with cheese and crackers, or with nachos and other Mexican dishes. And that is just for starters! I think the quality control people must have spent some time on this product getting the balance just right. There has been a lot of thought put into the combination of ingredients, and the end result is a sauce which is spicy but not too hot, balanced in terms of flavours, and low calorie to boot (for those who are concerned about such things). The packaging is attractive and clear and easy to read so you know just what you are getting. I love a fresh salsa so was very excited to try this sauce I had tried others in the range and was very impressed so with salsa being a fave I was keen to try this. 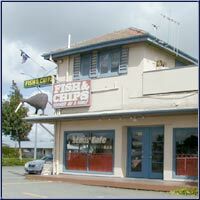 We have mexican food quite often being the kids main favourite foods. They love nachos, wraps, and tacos and this was the perfect sauce for those occasions. The first time we tried it we were having nachos so added this sauce and some sour cream as a topping. It was so good and was like eating a home made salsa as this was chunky and full of real bits of vegetables. It to me had the perfect amount of spice my kids found it spicy but they have a very sensitive pallette. It made a very authentic touch to the mexican meal and I thoroughly enjoyed it. We also tried the salsa in crispy chicken wraps so it both goes with chicken and beef very nicely. I loved the capsicum which comes through very strongly in the salsa giving it a bitterness to the sweetness of the tomato. It added a very fresh salsa taste to the wrap I could imagine fresh capsicum and tomato as it is clear good quality fresh vegetables are used in the sauce. I will definitely be buying again for me and my partner my kids did find it too spicy but I especially thought it was perfect with a bit of avocado or sour cream to balance the spice. We&apos;ve been lucky to try the 9 Spice Jerk Barbecue, Best Balsamic Mint and Rich Red Plum sauces, and the Tomato and Capsicum sauce was yet another amazing Barker&apos;s product which didn&apos;t fail to deliver. Once again the label is appealing, easy to read and simple to understand the nutritional information. So much flavour is crammed into the 305g bottle. Both the tomato and capsicum compete for the number 1 flavour yet also compliment each other. The flavour isn&apos;t very spicy which is a huge bonus in our house as we don&apos;t like a lot of spice, but enough kick to be flavoursome. We tried it on so many different dishes. From cooking in with mince for wraps, on top of nachos with sour cream and spread onto burgers and sandwiches. It&apos;s easy to pour as a sauce yet easy to spread and still be just the right consistency. The bottle is very ergonomic, as in it is easy to hold without the fear of dropping it no matter how much or how little is in it, and once the bottle is nearly empty (with it being so yummy, that came very quickly! ), it sits very nicely on it&apos;s lid to get the very last bit out. Mexican is always a favourite in our house and with all my latest Mexican inspired products that I have received recently we have been eating a lot of Mexican inspired dishes! One of the yummy products which I received was the Barker&apos;s Chunky Salsa Tomato and Capsicum, which I couldn&apos;t wait to get started on and put to good use. 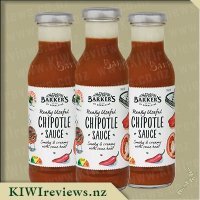 The salsa comes in a 305 gram glass bottle which features a creatively done label which represents that of Mexican food well with pictures of cactus&apos;s, chilli&apos;s and capsicums. The label also features ideas of ways in which this salsa can be used for example nachos, tacos and burritos, some of which I tried out for myself. The label has a hotness indicator which I think is quite handy, especially as I am not the hugest fan of spicy food so I was pleased to see this was only on the line between mild and medium! Upon opening the bottle I gave the salsa a small taste test on the end of my finger, to be honest I got a bit of a shock at first as the salsa did have a bit of a kick to it, but only my taste buds settled down it was actually quite nice and something that I thought would go really well in a number of different dishes, you could easily taste both the capsicum and the tomato which I thought was great and none seemed to be more over powering than the other which you can often find to be the case in such items. I first used this salsa to make tacos adding about a 1/4 of a cup to my cooked mince, this was added to some taco shells along with some lettuce, tomato, cheese and sour cream and the flavours worked perfectly you could certainly taste the sauce, and it provided the meal with a fresh type of taste rather than an artificial taste like you can sometimes get from adding taco powders rather than sauce, and the sour cream also did a great job at mellowing out the spicyness of the capsicum. I had some left over pieces of Farrah&apos;s tortilla&apos;s from a previous meal and rather than throw them out I decided to turn them into chips by toasting them in the oven, to serve these I mixed up some of the salsa with some cream cheese which made a great dip that was smooth and slightly tangy, this was a hit with my family. 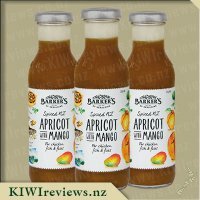 Overall this is a great sauce that adds a boost of flavour to meals I can&apos;t wait to put it to many other uses and it is something I will definitely buy again. Another great Barker&apos;s product. Mexican is a huge hit in our household and when it comes to quick and easy meals usually Mexican is the meal of choice. We are always looking for new things ways to jazz it up and add a little bit more magic to the meals. 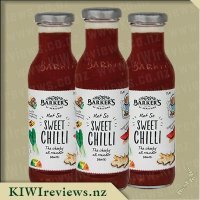 When I saw the Barkers salsa tomato and capsicum sauce up for review it sounded like something we would love. The day my parcel arrived I knew straight away it was going to be Mexican for dinner that night, mainly because I couldn&apos;t wait to get stuck in and try it. Nachos with mince, cheese sauce and salsa it was, once dinner was ready I dipped my finger in the salsa to taste it first. Yum from first taste I was sold and quickly put a good dose of salsa on the top of my nachos. Barkers have the mix of flavour just right it&apos;s the perfect amount of everything including the spice. It gave a very nice hit of spice but nothing too over powering. Since trying it the first time over the last week I have found a number of different uses for it. It has appeared in lunch wraps, been added to the middle of chicken breasts with a little cream cheese and mixed with a little sour cream as a dip for corn chips. There is so many uses for the sauce you are only limited by your imagination. It has been a hit with everyone who has tried it and mixed with sour cream as a dip even my young niece and nephew tucked into it. The Salsa sauce is going to become a must has item in our household for sure. I recently found myself with some leftover Kumara and Pumpkin mash, and needed to use it up. I also wanted something to try this sauce with as an ingredient. 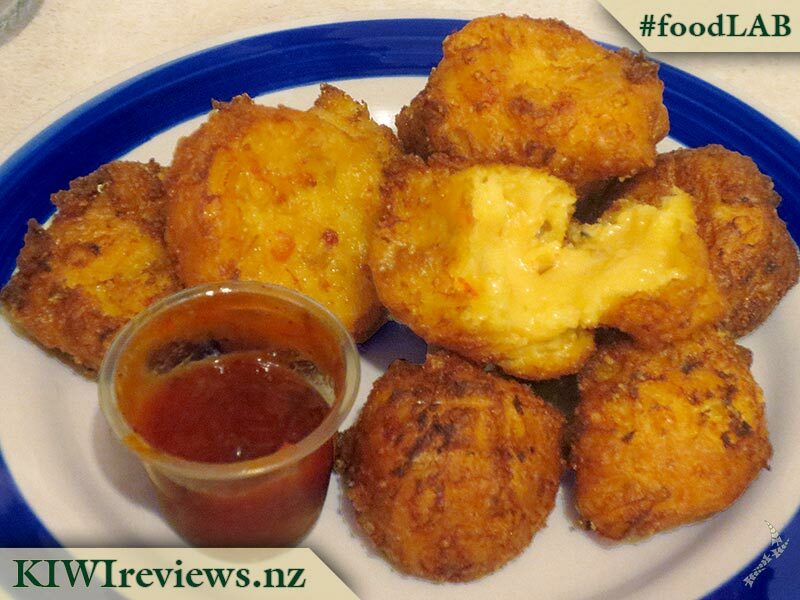 So, after nutting my head overnight, I came up with the idea of Spicy Cheesy Mash Pompoms. Mixing the mash, some cheese, a some of this sauce as well as the Really Useful Chipotle sauce, plus a few other ingredients, I had the recipe ready to cook. A tablespoon of the mix, rolled into a ball between two spoons, and carefully placed into the mini deep-frier for a few minutes, and the first prototype was ready to try. SO YUMMY! A nice Mexican flavour, enhanced by the piquancy of the Chipotle sauce, rounded off by the cheese and the mash... it was exactly the flavour profile I was after. So, I made a batch of about 20 pompoms and ate them over the next day and a half, trying various dips, but the best one was a mix of 2 tablespoons of the the Not So Sweet Chilli sauce mixed through a small pottle of sour cream. They also went well with a sweet Thai chilli and lemongrass sauce too for that matter. I have also tried the sauce on sausages - it went well, but it wasn&apos;t a top-pick for me - and as a flavour enhancer in mince for nachos - that was a real winner, but drained almost half a bottle to add enough flavour because I was cooking up quite a bit of mince. I also mixed it 50/50 with regular tomato sauce to think it down and add a bit more sweetness to it, and used that in place of plain sauce with some fish &apos;n&apos; chips a while ago. It was astounding, and I am going to be doing that again for sure! Overall, I think this sauce is quite versatile, so I am sure to think of other ways to use it. To that end, I have already purchased a couple of bottles. Wow, I have to say this this may be one of the best Barker&apos;s sauces I&apos;ve tried so far! I really enjoy the whole salsa flavour, or any Mexican-style flavour for that matter, but I was looking forward to using this sauce particularly because I could already think of one or two ways I could use it, and I was dying to try them out. The first thing I want to talk about, though, is the first thing I saw when I looked at this product: the label. In my opinion, I think that proper labeling of a product is crucial, and I have to say that Barker&apos;s did a good job on that front. The overall theme of the label was quite cool, it had a hint of old-fashioned design, with the pictures on the label looking like coloured sketches you might find in an old book, or in someone&apos;s gardening journal, and I have to that style really worked. I like how the label also included a meter showing the spice level of the sauce, and I think that is quite a smart idea, as many people might be hesitant about buying a spicy sauce if they don&apos;t know exactly how spicy it is, I know one or two people like that. As for the sauce itself, I found it to be quite pleasant, in fact when I first used it, I accidentally got some on my finger, so I licked it off and was surprised by the taste I got. The sauce was tangy, but not too tangy, and I could definitely pick up on the tomato and capsicum in the mix, the two flavours really worked together. The level of spice was quite moderate, it was actually at a nice level, not mouth-burning, but not barely noticeable either, quite appropriate for a salsa, actually. I used this stuff for two things, the first being as a dipping sauce. For some time now I have gotten addicted to making home-made potato wedges, so on one of my cooking nights I decide to make up some sausages and wedges for dinner, and I put a little of this stuff on the side as something new to try, and because we were out of regular tomato sauce. This worked really well, it added a nice flavour to both the wedges and the sausages, but it was so chunky that I had to practically scoop the stuff onto the food! The other thing I used this for was as part of a savoury mince, I added a big load of this stuff to the mince at the point when I would usually add canned tomatoes, and I think this worked as a great substitute. 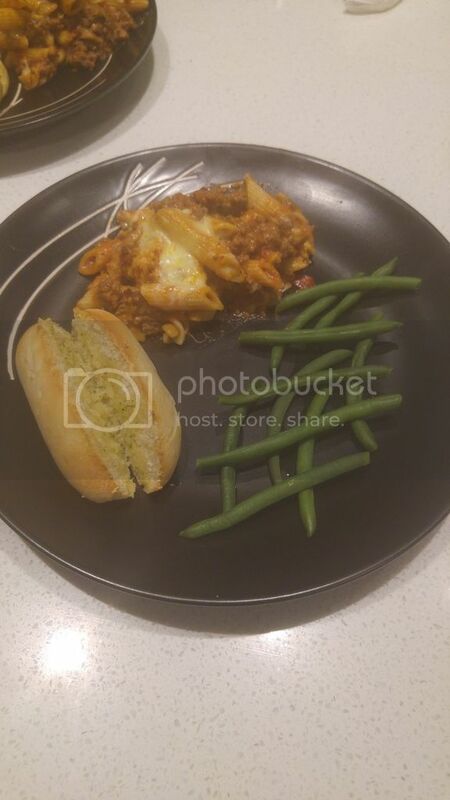 The flavour came out really well in the mince, but only after I had added most of the bottle, so I would say that this is portion of sauce will not last long if used for anything other than a dipping sauce. Overall, I would have to say that this is quite a good sauce, it works well for anything that could use a bit of spice, and I can see many other ways that this stuff can be used, the label even lists a few, which is quite clever. The price is great, if used in moderation, one bottle of sauce can last a good long while, it stores well, and is equally good cold or heated. I would highly recommend this as an option if you are wanting to make something with a bit of spice and salsa flavour, I don&apos;t think you&apos;ll regret it. 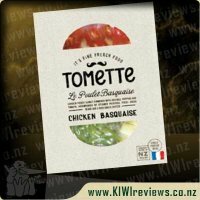 I have tried this already from the supermarket not as a product sent to me to review, but I thought I would review it anyways as I really loved this tomato and capisum sauce. I first tried this with my chicken breast and it was yummy as. 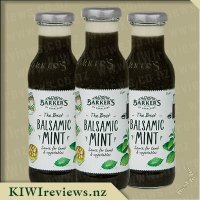 I had been doing healthy eating lately and having plain chicken and veges and I find this is super great to add as a extra wee sauce on the side to spice my meal up a bit. I find the flavours perfect and not to over powering, I also find that its the right balance. My son also enjoys it as well which is great, so we used this as the base sauce for some home made pizzas which made them so yummy, such a nice change then just plain tomato pizza base sauce. I have also have this with my rump steak and I find it works well with beef, I like how this sauce can be used with many different meats and ideas. Other things I have used the tomato and capsicum sauce with is adding some to mince, adding it on fish and also a wee bit in stir frys. I think its great and a sauce that I will continue to buy. 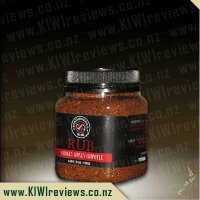 I have also introduced this to a couple of friends who also really enjoyed the flavours and have started to buy it now, which is great as I can&apos;t get enough of it, another thing I like is that the lids are easy to pop off and open. Whenever testing a new product there is always the dilemma of how to cook it, what to have with it or what dish to make with it. I like with this product on the label it has a couple of suggestions with cute little sketches. Automatically looking at the options I decided on Nachos but done in a Cup with this as the sauce mixed with sour cream. Even though the label says its medium/mild I was still concerned as to how much of a kick it would have for my girls. Removing the lid the smell hit me straight away and it smelt devine. Capsicum and Tomato where both heavily noticed. I took a small dip in my finger and the flavour was very over bearing so was glad I had sour cream to dim it down. I still put rather a lot on the cups and in retrospect that was not required. I had made the mince with no flavouring and this definitely made up for that plan taste. Both of my girls where not huge fans and I think if I had been a bit more suttle with it they would of enjoyed. My husband loved it and agreed it definitely had flavour to it. We discussed afterwards different options on how to best use it in the future as still have quite a lot left. We are thinking it will be perfect as a nice pizza base or even mixing with cream cheese to make a dip for vegetables or having with a different mexican dish in the future. I don&apos;t think you need to use a lot in the dish as it definitely has a very strong taste and a little seems to go a long way. 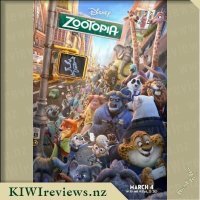 For the price it is definitely money worth spent and we will be purchasing again in the future. I am blown away with the flavour of it. 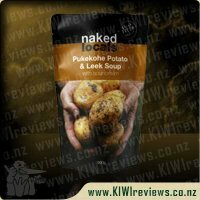 Naked Locals - our new range of soups made with produce from New Zealand farms in regions well known for these key ingredients. You get fresh, home-grown produce that tastes good, is good for you and is good for local business too.